The New Horizons mission has provided a lot of observations about Pluto, the farthermost known celestial object in our Solar System. Thanks to these observations, astronomers can now describe some interesting Pluto's characteristics. All four of Pluto's small moons are highly elongated objects with surprisingly high surface reflectances (albedos) suggestive of a water-ice surface composition. Kerberos appears to have a double-lobed shape, possibly formed by the merger of two smaller bodies. 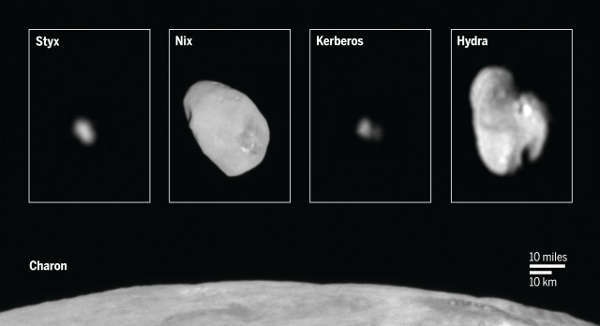 Crater counts for Nix and Hydra imply surface ages of at least 4 billion years. Nix and Hydra have mostly neutral (i.e., gray) colors, but an apparent crater on Nix's surface is redder than the rest of the surface; this finding suggests either that the impacting body had a different composition or that material with a different composition was excavated from below Nix's surface. All four small moons have rotational periods much shorter than their orbital periods, and their rotational poles are clustered nearly orthogonal to the direction of the common rotational poles of Pluto and Charon. Pierre de Fermat was born in 1601 in Beaumont-de-Lomagne in southwestern France. He was not even a mathematician; he was a civil servant who devoted himself to mathematics as a hobby. 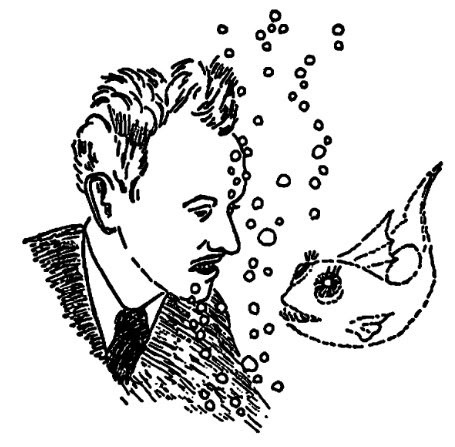 He was regarded as one of the most gifted self-taught mathematicians who ever lived. I think that this quotation from The girl who played with fire by Stieg Larson, the second novel from the series Millennium, was the perfect introduction to a post about the Fermat's Last Theorem and Andrew Wiles, who proofed it in 1993. And he awarded the Abel Prize just some days ago. I have discovered a truly marvelous proof of this theorem, which can't be contained in the too narrow page margin. 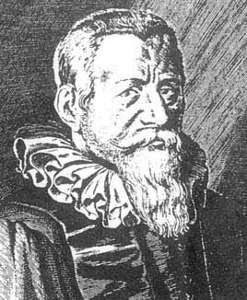 One of the most important mathematicians for $\pi$, was Ludolph van Ceulen, German mathematician born 28 January 1540 in Hildesheim. His father, Johannes Van Ceulen, was a small trader who could not afford advanced education for a son who showed some interest in mathematics. The main difficulty for Ludolph studies was the Latin, the language in which they were written the basic texts as well as the more recent ones in mathematics and science at the time. And Latin was a subject to be advanced studies. Another fundamental challenge was the particular historical period in which Ludolph lived. At that time, in fact, life for Protestants was rather complicated: the Spanish Inquisition was, in fact, powerful enough to extend his long hands even in Germany. The Van Ceulen's, as Protestants, were forced, like many in the same conditions, to migrate to the most welcoming Netherlands of Prince William of Orange. On the other hand Ludolph himself was a traveler: immediately after his father's death became a little travel first in the region of Livonia (Latvia and Estonia in our age), then to Antwerp to visit his brother Gert and then to Delft in the Netherlands where he settled for a time, since there was born one of his five daughter on May 4th, 1578. His wife, Mariken Jansen, died in 1590, but Ludolph remarriage on June 17th of that year with Adriana Simondochter, widow of Bartholomew Cloot, accounting and math teacher, with whom he had generated eight children, for a total of 13 mouths to feed. The two families, Cloot and Van Ceulen, were in a close relations of friendship, so it's pretty obvious to imagine that the marriage between Ludolph and Adriana was the best solution to avoid losing a strong relationship.